How to convert video usign QQ-player,etc. You don't know how? then keep reading this post this is specially written for you. 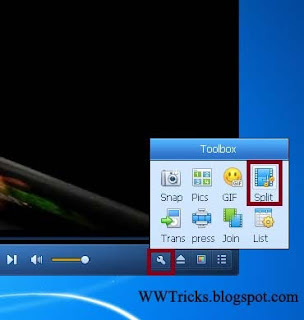 To cut a part from a video or you want to cut a single song from a full movie then follow the below steps. STEP-1:Launch QQ-player and play the video you want to cut a part from. STEP-2:Now click on the "toolbox" that is at the right bottom of the player .In the toolbox you have to select a tool named "split". STEP-3: After clicking on"Split" tool you will see some new options on the player. 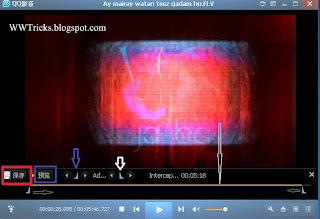 So navigate to the place form where you want to cut video 'Using Forward/backward option". Also select the end point of the video moving the line back. Their are more three options let we discuss it. Save: the first option is save, that you will use to save the file after previewing and satisfying. Preview:After you adjust the video then you have to click on preview option to preview the video. Adjust:Their are two adjust option, you can use these to move the video frame by frame. (the first one is to move from the start and the second is to move from the end). STEP-4:So after adjusting, previewing and satisfying from the preview click on save button. after clicking on save button a new window will pop up. now if you want to save only audio then check on the first option. If you want to do some changes in the height,width etc then check on 3rd option and do changes. That all, click on Ok and wait for a moment. Also share it with your friends.